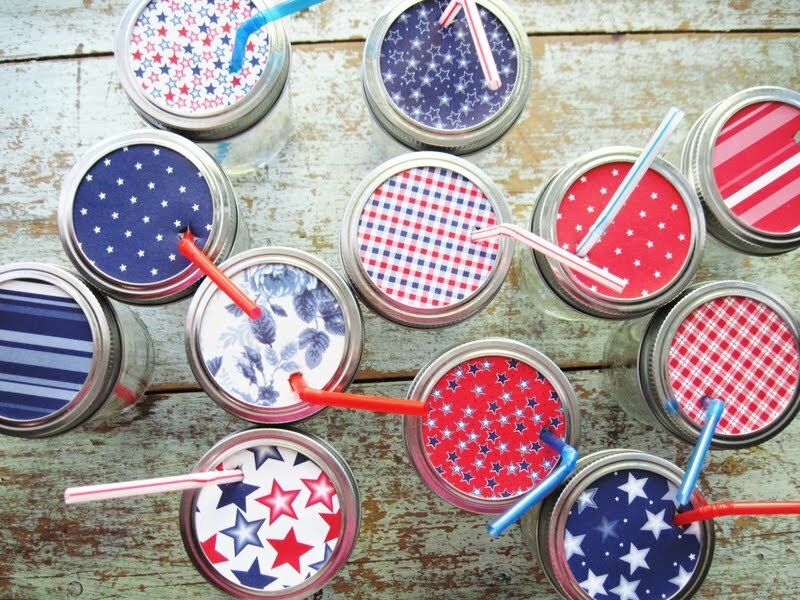 At your 4th of July party, sparks will fly with these DIY patriotic party ideas. 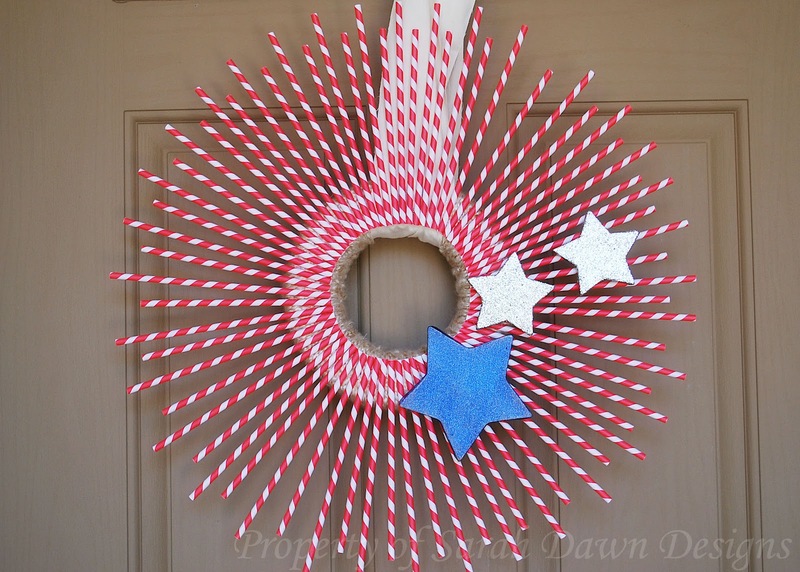 Make your own patriotic July 4th wreath. Want a wreath that’s a little more “you”? Put your mark on each piece with this hand-painted wreath featuring reclaimed wood…or clothespins. This cute wreath is easy—and cheap—to make. With just a couple cans of spray paint, 100 or so clothespins and a metal frame, your patriotic wreath comes in under $15. Pro Tip: use clothespins you’ve already retired from active duty to save a few bucks. Explore more possibilities at Cat's Craft Room. American flag crafts: repurpose your aluminum cans with these DIY flowerpots. 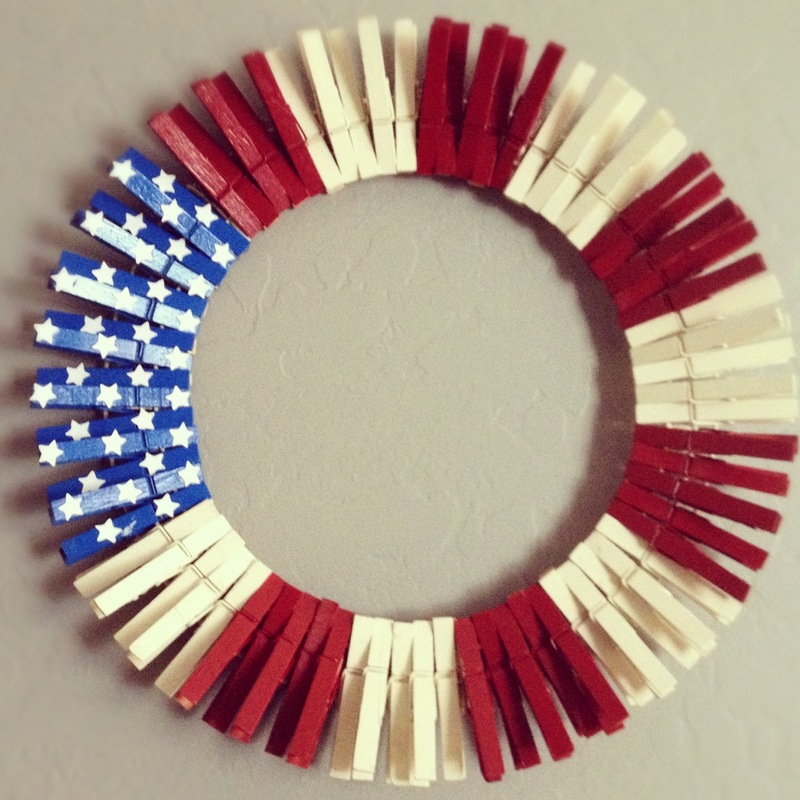 This American flag craft idea is fun for the whole family. All you need are some clean cans, patriotic paints and summery flowers. 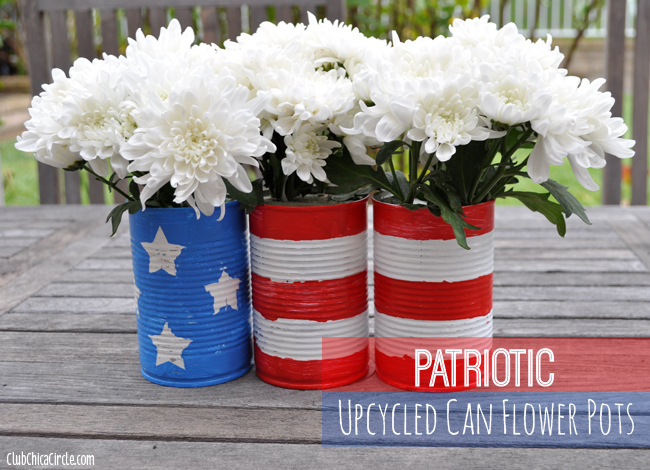 It all starts with recycling cans, and ends with a fittingly floral 4th of July feel. Arrange them on the stoop or as a centerpiece! Create your upcycled flower pots and discover more family-friendly patriotic party favors and red, white & blue desserts. 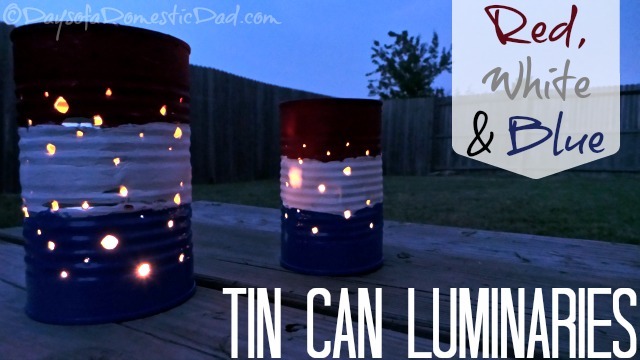 Fun for the whole family: craft these liberty-loving luminaries out of old tin cans. Make time to shine when the family gets together to repurpose old soup cans to turn them into lovely luminaries. Put on picnic tables to light up late night bites, or line them along the walkway to light a patriotic path to your 4th of July party. Light it up. 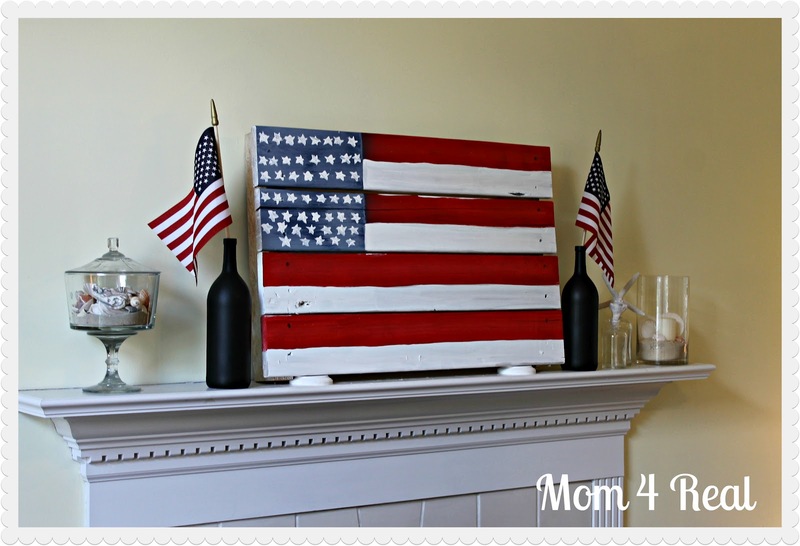 All you need to complete this adorable flag is a spare pallet and basic painting skills. Make your 4th of July party sparkle with this uniquely yours American flag craft backdrop. Paint your patriotic pallet. A little burlap goes a long way with this DIY table runner. Easy. Quick. Classic. A long strip of burlap meets red and blue ribbon for a table runner that whispers “Americana.” Hold it down with a simple flower arrangement to set the mood. Hit the table running. Set up your Singer and sew up these star-spangled settings. 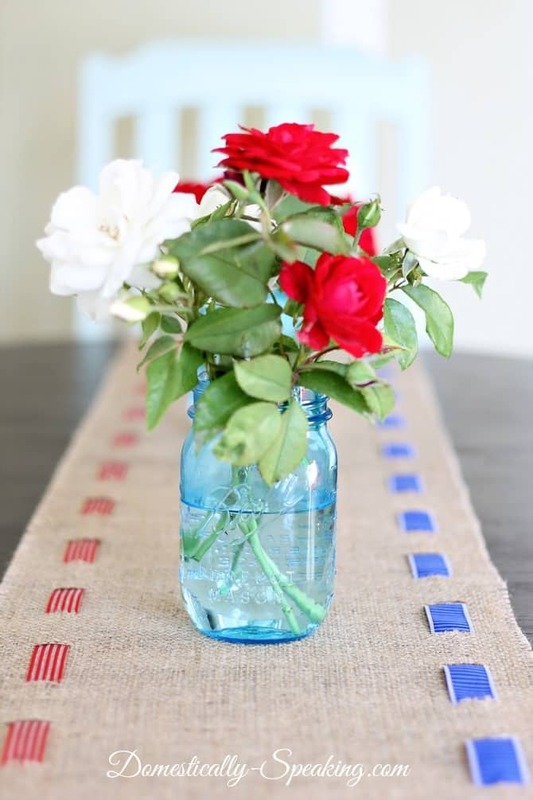 Bonus: the link below features four last-minute 4th of July décor ideas you can make to guarantee a fully festive 4th of July party. See the seam. These cute cups are made for kids of all ages; perfect for any outdoor party. If you’ve been paying attention, you know that mason jars are a pretty big deal in glassware right now. Even if you don’t plan on canning any time soon, family and guests alike love sipping from this repurposed classic. Pick up a canning set if you don’t have one, and you can create great lids for everyday, or just these American flag crafts for your party. Learn to design these star-studded cups with Two Shades of Pink. Print. Cut. Glue. (And then, of course: Stuff.) It’s not every day that the cutest thing you’ve ever seen is that easy! 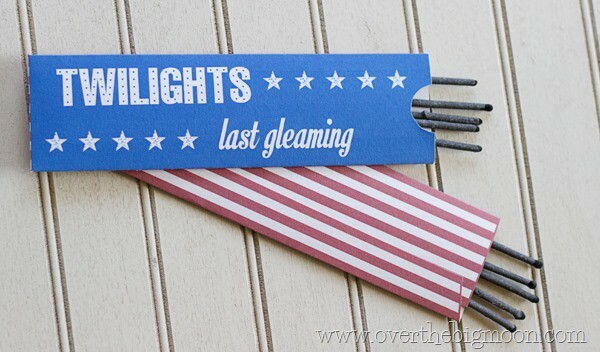 Create your fun patriotic sparkler holders. These gleefully grown-up matchboxes spark a little fun for the adults. What happens when the kids confiscate all those adorable sparkler packets? 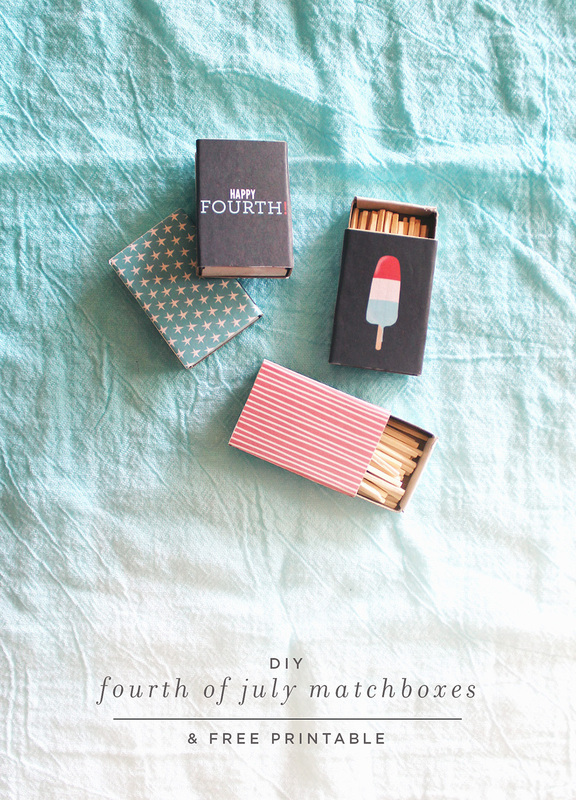 You get to light them up with these cute DIY matchboxes. Same way: print and glue and that is about all you do. Start the spark. Be the host with the most…adorable shoes! Okay, so this isn’t patriotic décor, per se, but it is sure to kick your party up a notch. Just grab some white slip-on's and your red and blue sharpies. Not great at drawing? Cut out some stars and use them to trace your shapes. Put your best foot forward.